Dubai is one of the most popular destinations in the Middle East which was established in the Persian Gulf on June 9, 1883. It is one of the most dynamic global destination and the well-grown city which is famous for its luxurious, ultra-modern construction and lively nightlife scenes. Dubai is most commonly known as UAE (United Arab Emirates) due to the reason of a combination of the seven municipalities. 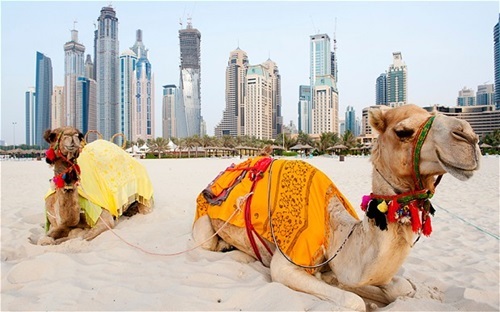 The sensitivity of the Islamic traditions is much dominant and respected in Dubai. The city is well known for its constant sunshine, stunning coastline and vast deserts which attracts a large number of tourists every year. The enforcement of the laws is at its extreme throughout the city, and hence the visitors feel safe and secure while exploring the different destinations at any time of the day. Burj Khalifa, Burj Al Arab, Dubai Cheek, Wild Wadi Water Park, Dubai Museum are one of the most popular destinations you surely don’t need to miss. Here we are providing you 7 best reasons why you should visit Dubai. Burj Khalifa: – Burj Khalifa is one of the one tallest man-made construction in the world which is about 829.8 meters tall. It is one of the most splendid towers of the Middle East and exceptional example of art. It is also identified as the Jewel of Dubai which includes about 163 floors overall. 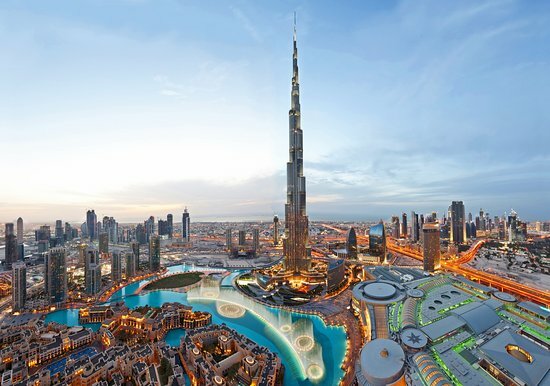 Amazing skylines: – The skyline of Dubai is another reason for attracting a large number of people every year. It includes a lot of skyscrapers along with various tallest residential buildings in the world. Blend of multiple cultures: – Dubai is a perfect blend of various cultures where about 90% of the population comes up from outside the country. It is one of the largest cosmopolitan cities in the world which includes people mainly from their first generation and hence offers a perfect host of different cultural traditions. Emerging advancements: – Dubai was a place of sleepy backwaters only a few years ago where fishers and the pearl divers usually used to stay. From the 90’s with the involvement of oil-based economy, the tourism and the business of the Dubai goes on enhancing day by day and took a start at a breakneck pace. Palm Jumeirah: – Palm Island is one of the largest artificial islands which were developed in between the years 2001 to 2006. It is home to multimillion dollar mega mansions and luxurious five-star hotels which is perfectly designed in the form of a palm tree and hence named so. 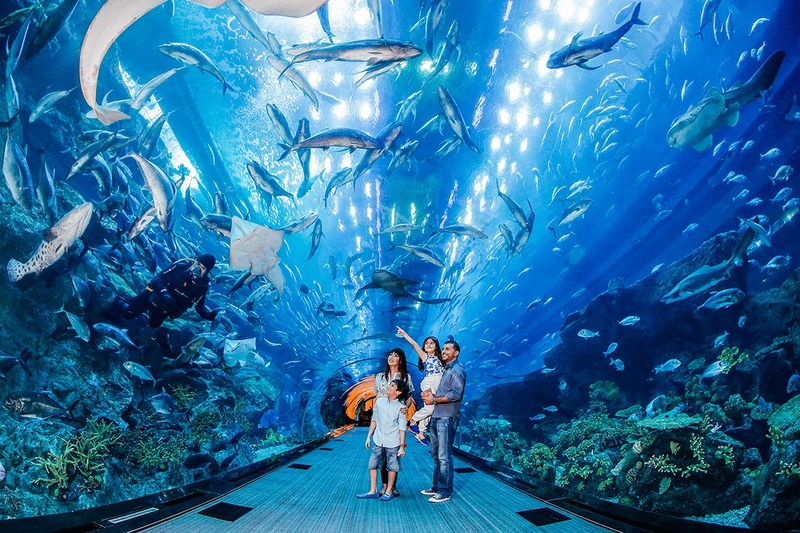 Dubai aquarium and underwater Zoo: – It is another reason why you should book your holiday in Dubai. It is an ideal destination for scuba diving and glass bottom boat ride. The underwater zoo and museum include shark fishes, dolphins, arthropods, and much more. Shoppers Paradise: – Dubai is a shopper’s paradise which includes a large number of shopping malls including The Imaginatively titled Dubai Mall which is one of the biggest malls in the world. It is one of the highest end retail locations which attract a large number of visitors to Dubai from far and wide. Conclusion: – Just plan a perfect holiday trip to Dubai right now and enjoy the unlimited fun with your family or friends. It is a beautiful destination where you can go shopping and also can enjoy the experience to visit the highest skyline of the world. It is one of the fastest growing places where tradition and technology are their extreme.